Have you ever stopped to think how much of your day is spent eating and drinking. A recent study calculated that we spend approx. 1 hour and 8 minutes of every weekday consuming food and drink. If I’m truly honest I probably think of food at least once an hour. As soon as I finish one meal I am looking forward to the next snack or planning something tasty later on in the day. We all love food and it is an essential part of our daily lives but do we really know what we are eating. As a teenager I was fit and had no weight. My hobbies included Gaelic Football and Irish dancing and I trained at least twice a week, burning lots of calories. When I left home I stopped exercising and started eating unhealthy. I began to gain alot of weight. Weight that remained with me for over 15 years. When I reflect back on my old eating habits it scares me. To be honest, I never stopped to think if what I ate was healthy or otherwise. I certainly never thought about calories. When working in Dublin my daily commute started with a packed train shortly after 7am and leaving the house without breakfast was a regular occurance. My choice for breakfast was more often than not a breakfast meal of hash brown, egg and sausage Mcmuffin and a glass of freshly squeezed orange juice. I thought I was being healthy with the orange juice. For lunch I would eat a large white bread roll with hot chicken, lettuce, tomato, coleslaw, cheese and mayonnaise and wash it all down with a diet coke. Dinner was the easy option of a ready made meal or takeaway. The Chinese number was on speed dial and they new me as “Murphy”. (It was easier for them to understand). Now, with my weight at its lowest (10st) I have never felt as healthy or as happy. I wonder how I ever let myself reach 15st 9lb. DIET is 70 % of getting to and maintaining a healthy weight. If you want to loose weight food is key. If you introduce a few of the following small changes, you will slowly begin to see results and before you know it you will feel so much better. Always have eggs in your fridge/bowl. Eggs are a great source of protein and can be had for breakfast, lunch or dinner. Watch your portion size. Using a smaller plate definitely reduces what you eat and this worked for me. Make sure at least half your plate is veg or salad. Ask for salad(no dressing) instead of chips when dining out. Choose sweet potato if you can’t do without a spud. Change to Almond Milk – A great alternative if you need milk in your tea or coffee. Write down EVERYTHING you eat and drink into a little note book. Great to reflect on how well you have done. Say NO to bread for 1 week and see the difference. You will feel less bloated within days. Try a Smoothie of spinach, mixed berries, banana(post HIIT only), almond milk. A smoothie is a great snack and you won’t taste the spinach. It is also very filling. Buy a jar of almond butter. If you crave something sweet to have with your coffee then a teaspoon of almond butter is delicious and will get you over your craving. 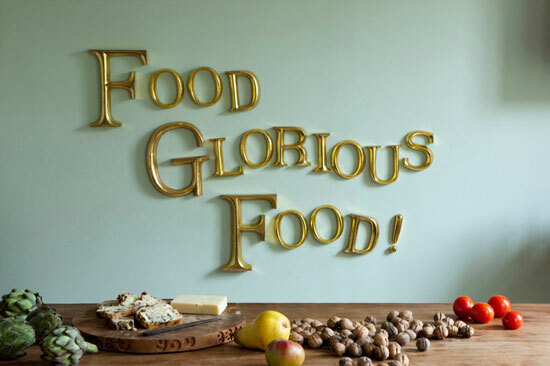 Food can be as glorious as you want it to be. Don’t fall into poor eating habits like I did. Instead eat healthy and you will enjoy the glory of good food, feel and look great. Below are two of my favourite healthy breakfasts. Try one or both and I know you will be glad you did. Firstly wilt spinach in half teaspoon of coconut oil. Pour eggs into frying pan and mix well. Lastly sprinkle in as much feta cheese as you like and mix well. This is a great fast and easy breakfast that will keep you full to lunchtime. This is a great breakfast to have prepared the night before. Mix the protein powder and chia seeds together. Gradually add the almond milk for a thick consistency. Leave overnight and serve with greek yogurt and berries.